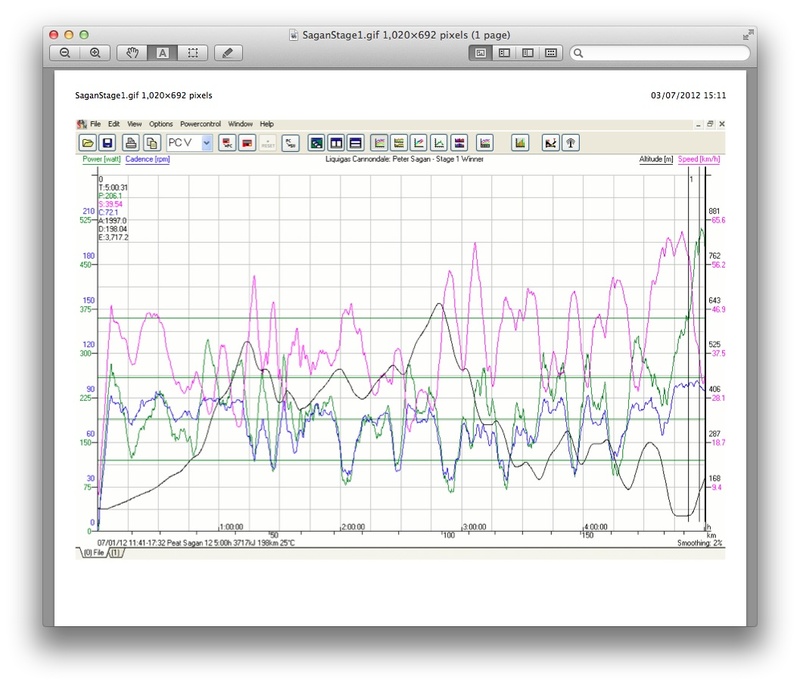 The last sprint to the line Sagan hit 1230 watts and averaged over 950 watts for the last couple of hundred meters. 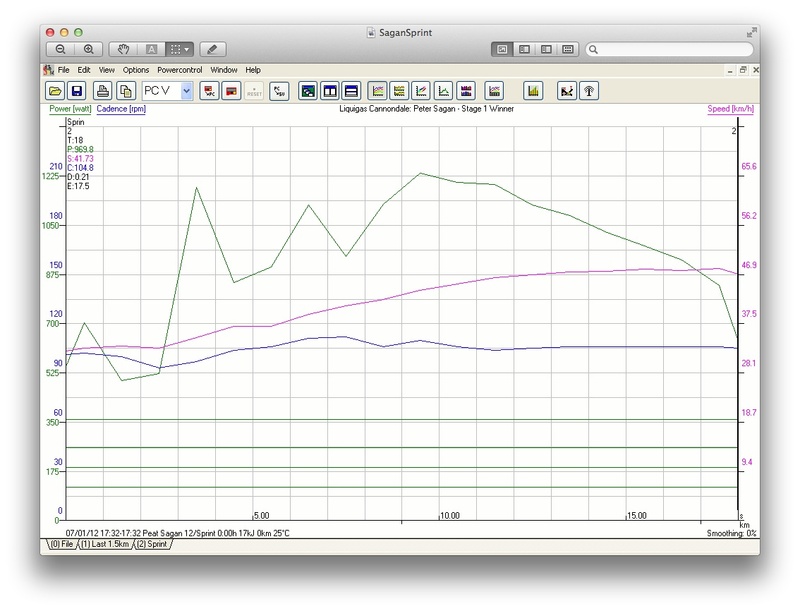 Average: 210watts, cadence 72rpm with 2000 mtrs altitude gain and 3550 kilocals burnt. This entry was posted in Reviews, Tour de France and tagged Cycling Endurance exercise engineering Fatigue Profiling Heart Rate Monthly Testing Protocol Orthostatic Heart Rates Power sports and exercise engineering sports engineering Sports Exercise Engineerin, Fatigue Profiling, Live Telemetry, Sports Exercise Engineering, SRM, tdf, Tour de France power profile, Tour de France Telemetry, Watts. Bookmark the permalink.